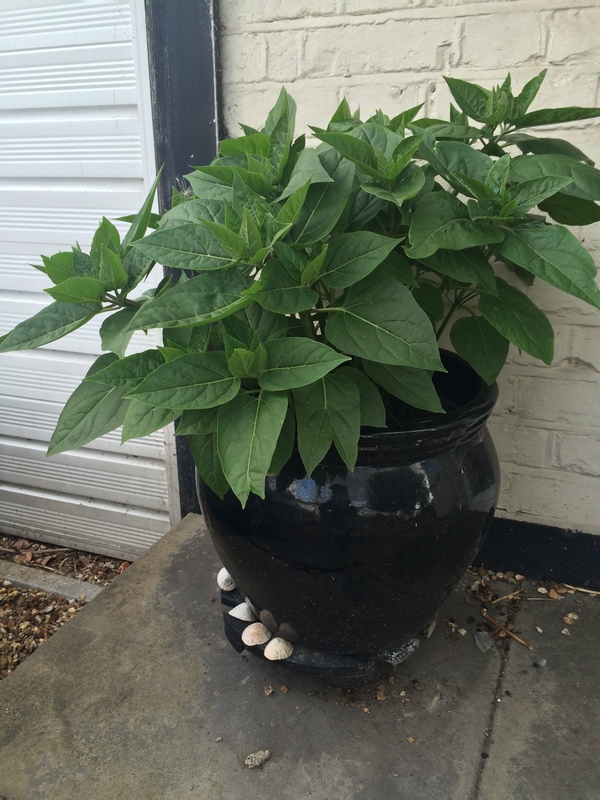 For the first 6 months this year outside my front door was a large black plant pot with nothing growing. The two previous plants had died a long while ago and I was considering dumping all the soil in the pot in case that was a factor. One day I noticed a few green shoots appearing and presumed them weeds, however over the next few weeks, these “weeds” grew ferociously and looked actually quite charming. So I left the plant alone, watered it sometimes and expected that I was growing some huge weed. A couple of weeks ago some flowers appeared and since then some more. 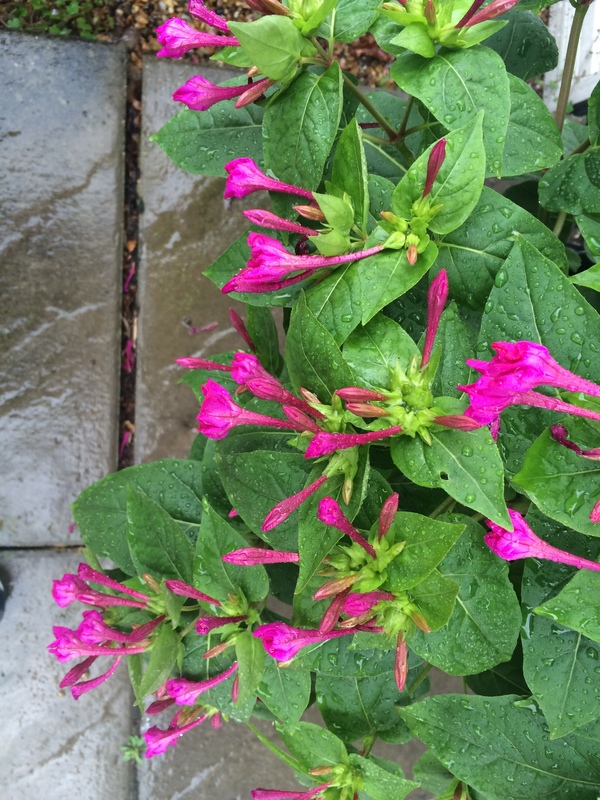 Using an online plant app, seems my plant is Mirabilis Jalapa. Also known as the 4 o’clock flower.A curious aspect of this plant is that flowers with different colors can be found simultaneously on the same plant. 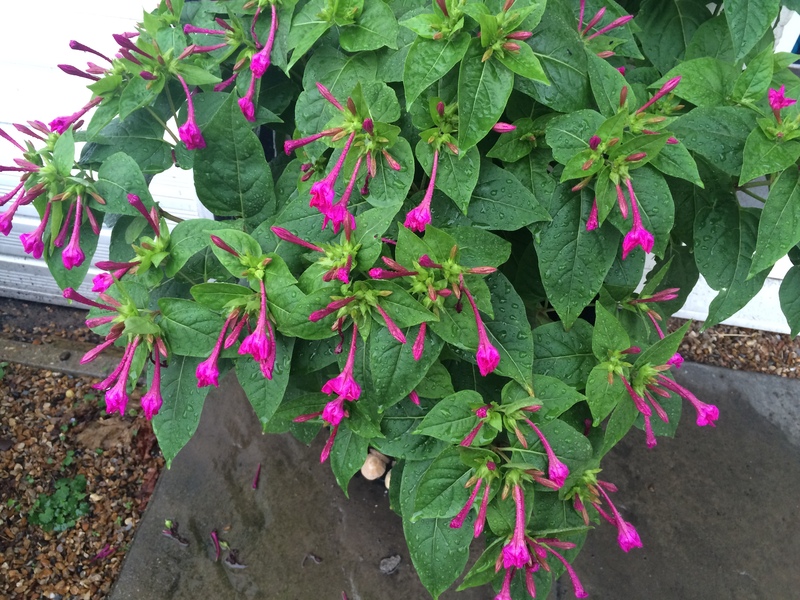 The plant hails from tropical South America, but has become naturalised throughout tropical and warm temperate regions. In cooler temperate regions, it will die back with the first frosts, regrowing in the following spring from the tuberous roots. The plant does best in full sun. It grows to approximately 0.9 m in height. The plant will self-seed, often spreading rapidly if left unchecked in a garden.The flowers are used in food colouring. Seems also that if one gets ill this plant might help or cure most things. 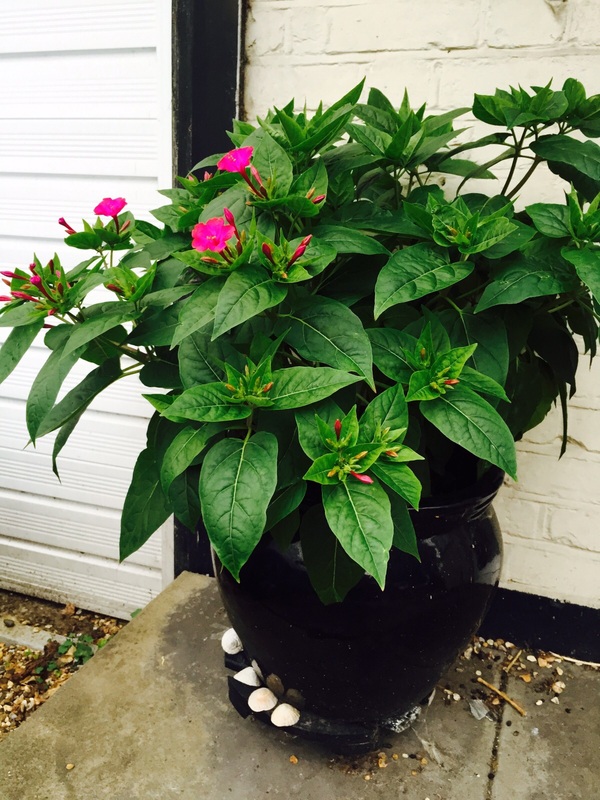 Mirabilis Jalapa with no flowers.